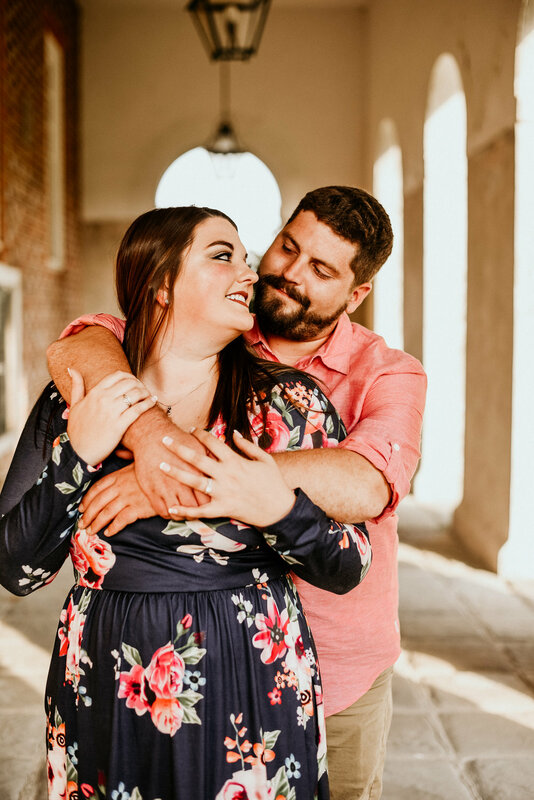 I'm back in Richmond for the summer and had my first session with this adorable couple! Kim and Cory are perfect compliments for each other and after knowing Kim for quite a few years (she was my technical center teacher back in my junior year of high school), I'm so happy to see her so in love with such a great guy! Their big day is in November at a beautiful venue in Louisa and I know she's already been working hard on all of the details. Our original plan was to take these photographs at the Historic Polegreen Church in Mechanicsville but of course when we arrived, there was a wedding going on! We quickly changed plans and headed to the Hanover Courthouse which was just as great. We will definitely be going back to Polegreen though for a mini session because we still want to take some photos there!